Like many other people, I thought I would absolutely loathe this book. Everything about it seemed dull to me: the story, the characters, the writing itself. 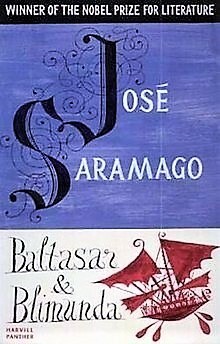 And, after all, I had never been a big fan of Saramago myself. But this book soon became one of the best works I've ever read in my entire life. It wasn't dull - it was magical. I can't think of any part of this book that bored me. It is full of passion, humour, criticism, creativity. The characters are simply perfect. The story is beyond perfection. And I seriously do not understand how one can just ignore a book like this. I am so happy that I didn't give up on it. After the first five lines I was already laughing and having such a great time. I totally recommend it to everyone. Sign into Goodreads to see if any of your friends have read Baltasar and Blimunda.